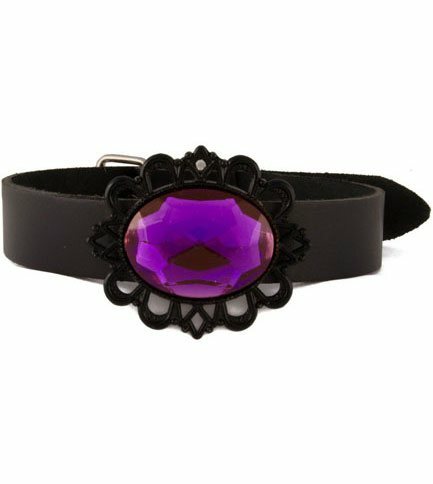 Black leather choker with purple filigree faceted acrylic cameo stone. 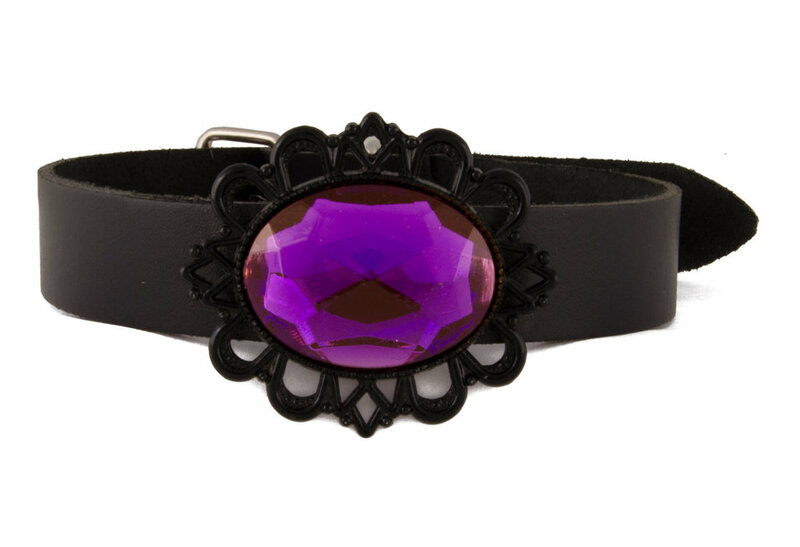 Measures approximately 17.5 inches x 1 inches x 0.16 inches. Cameo measures approximately 3 x 4 cm. Metal setting measures approximately 6 x 5 cm. Imported.